I love this tree but I don’t know what it’s called. I have one in a pot and one in the ground. Please tell me the name if you know it. In Kuwait, the Arabic name for it is: Fitnah. 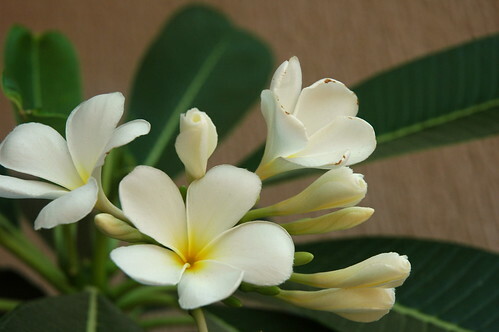 Update 22 06 2008: It’s called Plumeria. Thank you Ariston.